Home / Archive by Category "Dental Implant Cost"
Before you book an appointment with a dentist for dental implant surgery, you should know the value and the cost of dental implants. You might be surprised how affordable dental implants are compared to other tooth replacement options, especially when you take into account long-term cost effectiveness and quality of life. Continue reading to learn more. If someone quotes you the exact price for dental implants without examining you, be wary. Since, dental implant treatments are customized for your specific needs, the costs vary accordingly. An evaluation by an experienced dental implant expert is the best way to ensure that you are getting an accurate cost estimate for quality work. Without an implant or tooth, your jawbone will begin to deteriorate, which can change your facial appearance and makes you look aged. Unlike your dental implants or natural teeth, you need to remove your dentures to soak and brush them, which can be a time-consuming hassle. The initial cost you used to pay for your treatment doesn’t include the cost of replacing your bridges or dentures, which may be necessary as often as every 5 to 15 years. It also doesn’t include the ongoing maintenance costs, such as fixatives and adhesives. 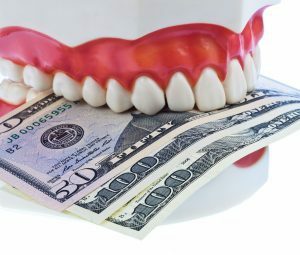 Many implant dentists offer financing and payment options to make dental implants even more affordable, so be sure to ask what plans your dentist offers. By recognizing the long-term benefits of dental implants over other tooth replacement options, an increasing number of insurance companies have started to provide some coverage. Over the long term, from a purely financial perspective, cost of dental implants is competitive with other tooth replacement options. In addition, when you factor in quality of life and long-term oral health, dental implants clearly rank as the higher-value alternative. According to the Australian Institute of Health and Welfare, the average Australian adult is missing around five teeth. However, tooth loss is common, and it can happen as a result of trauma and disease. But, it doesn’t mean that you have to spend the rest of your life with missing teeth. Today, dental implants are extremely popular in the market, as they are the only permanent solution to a missing tooth. While dental implants are a popular choice for replacing a missing tooth, unfortunately, if your teeth have been missing for a long time, bone grafting becomes necessary for receiving dental implants. When a tooth is missing, there is no more stimulation, and it could slow the replacement rate and cause the bone volume to decrease gradually. The jawbone could get reduced to about 25% during the first year and several millimeters in height after just a few years. Though dentures can restore lost function and appearance, they can’t duplicate this needed stimulation. They also tend to reduce bone loss by irritating and creating forces on the bones and gums they rest upon. Dental implants are titanium screw that is inserted into the jawbone. The embedded titanium post is made of a biocompatible component that attracts bone cells to grow and adhere to its surface. So it increases bone density at the site. The affordable dental implants replace the root of a tooth and form a sturdy foundation to hold the crown or bridge. 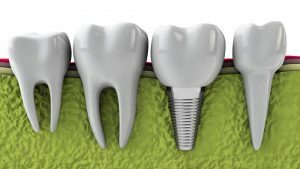 Bone loss can be problematic for anyone wishing to replace their missing teeth with dental implants, as there may not be sufficient bone to support an implant. So, this is where bone grafting plays a vital role to help receive dental implants. Your dentist may recommend bone grafting procedure prior to dental implants that affect the dental implants cost as well. Bone grafting is a procedure of adding bone to your existing jawbone to hold the implant securely in place. Though bone grafting is a surgical procedure that can be sometimes extensive, it plays a vital role in making new teeth possible. So, if you have bone loss due to missing teeth, then you bone grafting procedure becomes necessary. Based on several factors, there are potentially four bone graft options. Additional procedures like bone grafting, sinus lift, and tooth extraction affect the overall cost of dental implants. Visit your dentist and find out your options to receive affordable dental implants. Dental implants are the most efficient way to replace a missing or broken tooth. But, when it comes to biggest decisions in life, one question stands out from the rest – how much will it cost? Apparently, dental implants are one of those biggest choices, as they involve a surgical procedure, stay with you for the rest of your life, and especially, it requires a considerable investment. However, determining the cost of dental implants is equally complex because it depends on various factors. Come on, let’s find out what are those factors that determine the dental implants cost. When it comes to the cost of dental implants, the number of implants you need is one of the significant factors that affect the treatment cost. The price for replacing several teeth can be more than replacing a single tooth. The Implant is the significant component that actually replaces the tooth root that is missing. It is basically anchored inside the gum, and it acts as the root of for the new replacement tooth. The implant is made of biocompatible material that naturally fuses with your jawbone and forms a sturdy foundation to hold the crown, bridge or denture in place. So, if you are getting a single implant, you will pay less than the patient who is getting two or more. The quality of the implant and the type of restoration you choose are the other factors that will greatly impact the cost. Yes, for example, a complete set of dentures will cost more than a partial bridge. Besides, the quality factor also you have to consider, as the more quality you need, the more you have to pay. However, choosing the quality implant will last longer than the low cost one. Plus, there are also other prices associated with the different high-performance acrylics and dental porcelains. Though dental implants are the most efficient ways to replace a missing tooth, one should be qualified for getting dental implants. So sometimes an additional procedure may be required before to get the implants. Bone grafting procedure is done to add mass and secure the implant post. Bone quality is very essential to get dental implants. If you don’t have enough bone, getting this procedure done can reduce the risk of further bone loss and failure of implants. If you have a decayed tooth or an unhealthy tooth, then it will be pulled out to get implant supported dentures. The more healthy your mouth, the greater the success rate of the implant procedure. Gum disease will lead to implant failure. If gum disease is present, it must be treated before the procedure. These are the key factor that impacts the affordable dental implants. Speak with your dentist and find out your options. 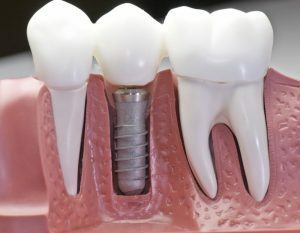 Does your dentist suggest you to replace your missing teeth with dental implants, but you are worried about the dental implants cost in Melbourne? Well, while dental implants seem to be higher, it offers incredible benefits which are not found in other teeth restorative options like dentures and bridges. Dental implants are renowned for being the only teeth restorative option that gives a permanent solution for missing teeth. People who have opted for dental implants stated that they look natural, feel natural and work like a natural tooth. In dentistry, dental implants are considered to be one of the most advanced treatments for missing teeth. Advancements in technology have made this procedure affordable to everyone. There are certain factors that affect the overall cost of dental implants. Understanding these factors will help you understand what are the costs are involved in the dental implant procedure. What are the factors that influence the dental implants costs in Melbourne? The following are the factors that affect the dental costs. You may be affected by one or more of these conditions which will result in different costs for each person. 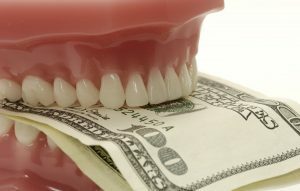 If you need a single dental implant, you may pay less. But, if you need multiple implants, you may require additional surgery and preparations. Discuss with your oral surgeon to get affordable dental implants in Melbourne. Dental implants can be done in one or two stages depending on an individual’s requirement. If it is a one stage treatment, the screw will be surgically inserted, and when the surgical site heals, the new prosthetic tooth will be mounted. In two-stage treatment, the implant is made and then stitched over for complete healing. It will be later accessed in a second surgery when the abutment is inserted. It is usually done for people who need an additional procedure like bone grafting. You may need jaw reconstruction if you have do not have enough jaw bone to place the implant. In such case, you may need additional surgery. This additional treatment will affect the overall cost of dental implant in Melbourne. Titanium is the most common material used for implants. It is more comfortable and a biocompatible material that does not cause any side effects. However, a zircon based implant is also available, and it is relatively less when compared to the cost of titanium. But, the results may not be like titanium material. The material cost will also be added to the dental implants cost Melbourne. In order to check whether you are the right candidate for getting dental implants, you may need to undergo several tests like scans and screening before receiving an implant. These costs are also added. When you are trying to decide whether to get dental implants or not, do not ignore due to the price. It is the only permanent solution for missing teeth that has got high success rate. Go on, don’t worry about the price. Just think about the long-term benefits. Dental implants have become the most popular treatment in today’s world among the people who need to give a permanent solution for dental problems. The good news is the cost of dental implants in Melbourne is less compared to what was in 2017, but in some parts of the country, the cost of the dental implant can be relatively expensive. Here are some strategies in this blog that can help to cover the costs of your implant treatments. Get a dental insurance plan with coverage for your dental implants. The first thing you have to consider paying for your dental implant is the dental insurance plan. Applying dental insurance plan for your dental implant is the first piece of the puzzle, because it can reduce your cost of service you spend for your dental implant. It helps to feel the full benefits of the dental implant without any stress. Research says, above 30% money will get reduced than the normal retail rates by implementing dental insurance plan. So, to get the affordable dental implants in Melbourne, choose the one, who accept dental insurance plan. Another great way to lessen the cost of dental implants in Melbourne is using the financing methods like care credit for your dental implant treatments. After applying the right dental insurance plan, you can control your expenses for your dental treatment and the medical services. It acts as the best financing solution, to borrow money like normal credit cards. So, it’s another best idea to finance the entire amount and reduce the flow of money from your pocket. Negotiate with dental providers to diminish the dental implants cost in Melbourne directly. Talk with dentists before you book an appointment for your treatment. Some experienced dentists will work with the patient and give flexible options to them, so don’t shy or fear to ask them. Hope these tips will help to cover the cost of your dental implant surgery. The only thing you have to do is “proper research”; such dentist will give you long-lasting dental health and a healthy smile at affordable prices. Dental Implants – The Secret to Smiling With Confidence Again! Have you lost a tooth and hiding your smile? Do not worry! You can get your flashy smile back. Yes! with all the advancements in implant dentistry, it is possible to restore your smile! Dental implants can help replace your missing tooth, and you can smile confidently. With dental implants, there is no unnecessary pain, expense or hassle, just great results. Ever since their introduction, dental implants have become an established treatment modality which has revolutionised the concept of replacing missing teeth. The Dental implant cost in Melbourne is affordable and is a titanium post that replaces the root of a tooth. Tooth implants provide a strong foundation for fixed or removable replacement teeth that are customised to match your natural teeth. Implants are remarkable because they serve as a strong foundation for replacement teeth. Since the titanium post is biocompatible, they naturally fuse with the jawbone and permanently hold it in place. How many teeth do you need to replace with dental implants? Replacing single tooth with dental implants is lesser than replacing missing teeth. The location of the missing teeth also influences the cost of dental implants because the tooth restoration of the canines, incisors and premolars can be expensive than molars in front teeth. Whether you need a single implant and crown or an implant-supported bridge or planning to have a partial or full denture supported by dental implants, all types of restorations need different procedures and materials. All these restorations affect the total treatment cost of dental implants in Melbourne. If your jawbone does not have an adequate structural density to support the replacement of dental implants, you may need a bone grafting. Along with bone grafting, the dentist may recommend removal of decayed or infected teeth. These are all the factors that affect the cost of dental implants treatments. If you want to have affordable dental implants in Melbourne, speak with your dentist regarding payment plans. Payment plans are introduced to make the dental implants accessible for all. Most of the patients who replaced their missing tooth with dental implants love the implants because of their improved appearance, function, comfort and health. You never have to hide your smile. With dental implants, you can smile, speak and eat confidently without the fear of a denture popping out. Overall quality of your life is enhanced with dental implants that look, feel and function like your natural teeth. You can live longer because dental implants allow you to eat any food which you like. There are no food restrictions. Yes, fresh vegetables, corn, fruits and steaks are back on the menu! Since the crown is securely attached with the implant, there is no need for messy implants dentures adhesives. Generally, dental implant is composed of 3 parts, they are; implant, abutment, crown. For the titanium screw part, it has different size and type. Every type of the titanium screw has different price variation and the level of cost is comparatively more. In case of crown, the material use for crown is expensive and it affects the total cost. Resin is the good example of that. The most affordable crown is made of resin, ceramic and porcelain, which are all rich in quality, but the thing is these products are cost relatively higher than the local product. 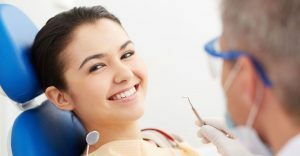 Yes, choosing the right location for your dental surgery will save not only your teeth but also bring the good appearance, but it might be higher than an ordinary one. But in some case; some dentist who are in a city (crowded area) where the cost of living is high will charge more. Did you know? Going for the most trusted implant brands will increase the cost, but the thing is it leads to a successful treatment. So be alert and visit the one who provides trustworthy treatment and without creating an allergic reaction or being rejected by the body. Single tooth vary between $1500 and $7000. Multiple Teeth vary from $3000 and can go as high as $12000. Hope you understand the point what I said. To get the best and successful treatment, contact the dentist who are well experienced and don’t let cost stand in your way. Spend your money to get your dream, but don’t get cheated. Dental Implant is the lifetime solution so choose the one who prefect the perfect solution. Please keep in mind your dentist’s experience and expertise is more important than the financial aspect, because it’s your health and appearance. Is Implant Dentistry Worth for Cost? Dental implants are more expensive than any other alternatives for replacing a missing tooth. The cost may vary depending on many factors including the type of implantation, the material used for the dental implant, the dentist who performs the surgery procedure and the location where the implant placement surgery is performed. But, where shall we find the highly trained dentist to perform the great majority of all dental treatments? Of course, no other thoughts or options, our dental specialist team offers you the high quality dental implant with lowest price. The cost of dental implant in Melbourne is affordable! Though there are many restorative options for replacing missing teeth, none has proven as effective and durable as dental implants. Dental implants are cost worthy and last for years if perfectly maintained. Dental implants are one among the most successful procedures in dentistry. Studies have shown that a five-year success rate of 96 percent for lower jaw implants and 91 percent for upper jaw implants. The success rate of upper jaw is slightly lower than the lower jaw because of its less density. What contributes to the dental implant failure? Dental implant failure is uncommon, in fact here are number of key reasons why dental implants fail. Smoking is one of the largest contributors of dental implant failures. Many dentist and oral surgeons refuse to treat smokers because of the high dental implant failure rate. The patients who smoke are instructed to stop smoking a week before treatment and asked to wait for at least two weeks after surgery. If smoking persists, it has the potential to cause gum inflammation which leads the implant to fail. Health conditions that are not controlled properly like diabetes, heart disease and etc. can cause inflammation and prevent you from healing the wound of dental implant surgery and increases the risk of periodontal disease. What contributes to the dental implant success? The success rate of dental implant depends on both the patient and the surgeon. Good oral hygiene, healthy jaw, healthy gums and a healthy body are the important contributors of the successful dental implant treatment. With good guidance from your implant dentist, the lifespan of your dental implant increase. They instruct you how to take care of you newly replaced teeth, just like your natural teeth. Thus, the tooth implant cost in Melbourne worth enough to enhance good oral health and achieving high popularity among millions of people as a standard treatment for tooth replacement.